If you are wondering about what I have been up to, feel free to follow me over at my new Wordpress blog: http://acreativereality.wordpress.com/! 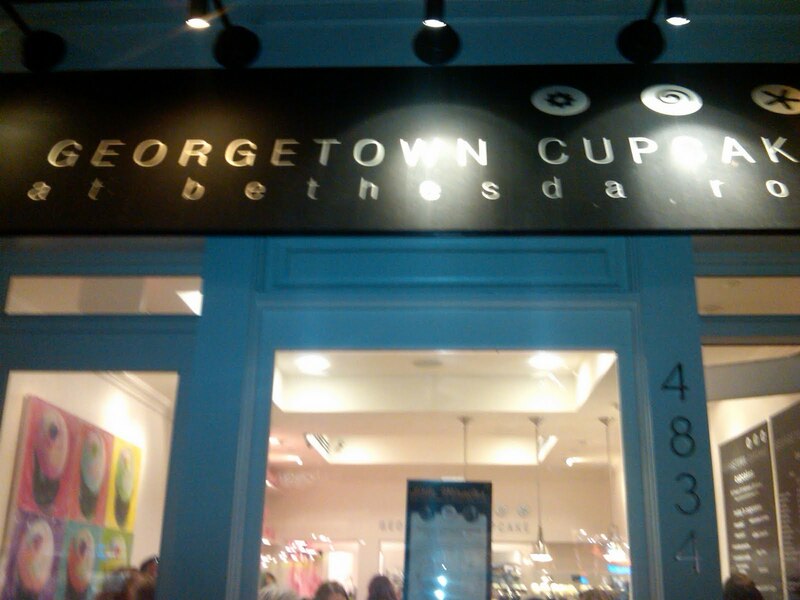 Yesterday I went to Georgetown Cupcake at Bethesda Row. It was well worth the wait! When I visited the cute cupcakery in Bethesda, the line was not as long as I have seen it at the Georgetown location but it definitely wasn't short! We had the pleasure of tasting the Salted Caramel and Key Lime flavors. These cupcakes were delicious and the Chai Latte was tasty too! Here is a side shot of the menu with the hot and cold beverages and the flavors of the day! 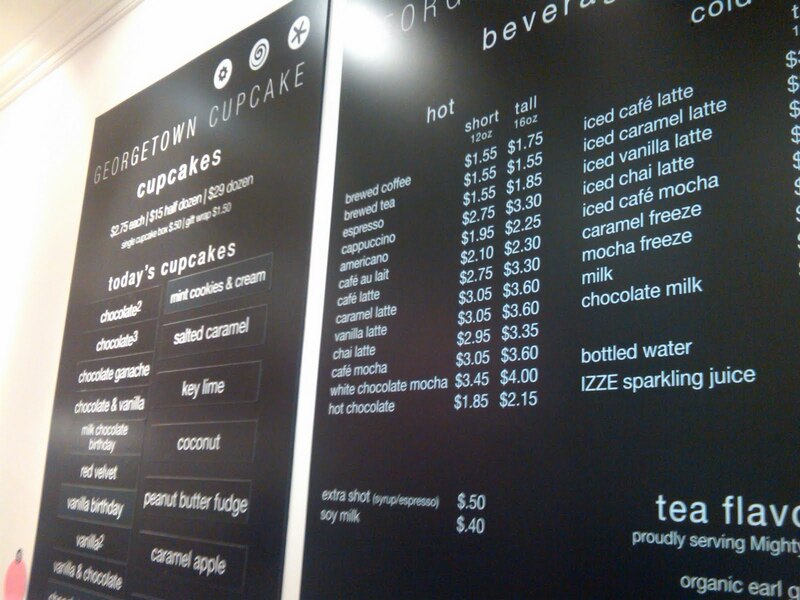 If you follow Georgetown Cupcake on Facebook you can find out the secret flavor of the day. If you are one of the first 100 customers per location to order the secret flavor by name they give it to you for free! Be sure to check out Georgetown Cupcake founders, sisters Katherine Kallinis and Sophie LaMontagne, on TLC in their new show DC Cupcakes! Last year on September 10th, fashionistas in NYC had the opportunity to celebrate shopping and meet some of their favorite celebrities at various shops and boutiques in New York during Fashion's Night Out! Now those of us in the DC, Maryland, and Virginia (DMV) area can have fun too! Tonight Georgetown is hosting Fashion's Night Out! There will be lots of goodies and treats to sample and enjoy, including free cupcakes from Georgetown Cupcake, a Wii Tournament at Lacoste, wine, a pedicab and much more! 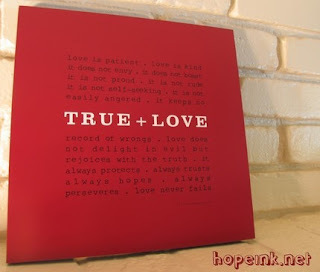 You can also purchase the chic tote bag pictured above for $10 and support Labels for Love. Check out the video below or visit www.fashionsnightoutgeorgetowndc.com for more info! Happy Shopping! Okay... I'll admit it. I ran outside as soon as it started to get warm and left everything behind! I was weak after the rough winter we had and the sun was calling my name! 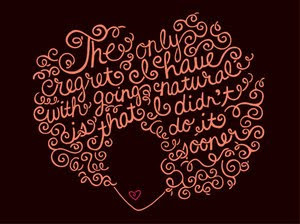 :) However, I have gotten all of that out of my system and I am back to blogging! So for my first returning post, I decided to share some photos that I took with my cell phone at Miami Beach this past weekend! 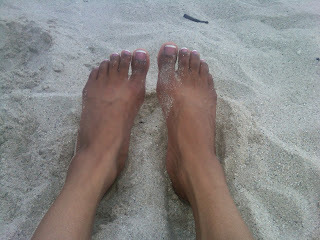 It felt good to get away, lay in the sand, and enjoy the sun! I really enjoyed myself. I hope you had a great Labor Day weekend too! 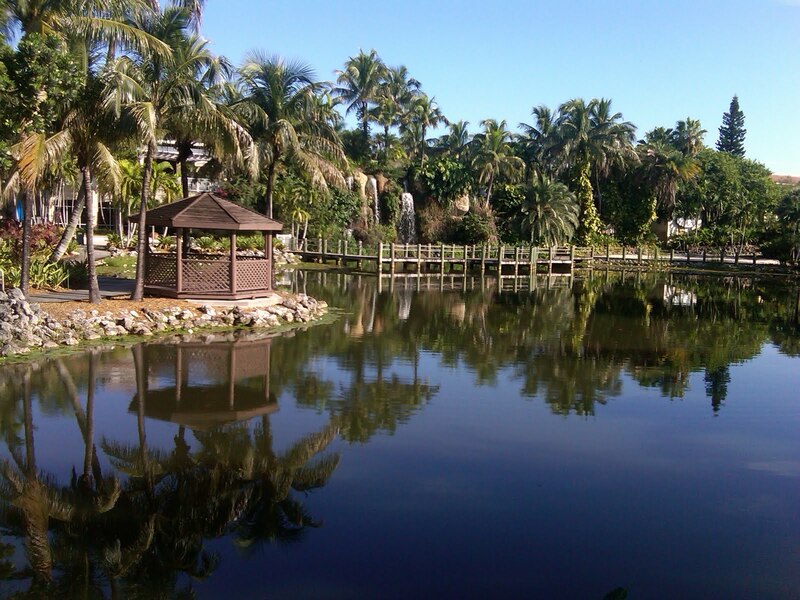 Here is another photo of the resort where we stayed. It was so relaxing! 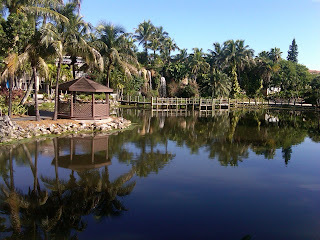 I had such a soothing experience visiting the spa and taking in the beautiful scenery, while writing in my journal and reflecting on my goals for the rest of 2010. I look forward to sharing some of those goals with you as I move forward! Although I am sure Single Awareness Day, also known as SAD, a humorous alternative for Valentine's Day has been around for awhile, I recently heard of it a couple years ago. By the way, I personally think the acronym is hilarious! I was talking to someone today and I can completely understand why some of us "single people" can get bummed out on Valentine's Day but for years I've thought of it as an opportunity to take the emphasis off of myself and make someone else smile! 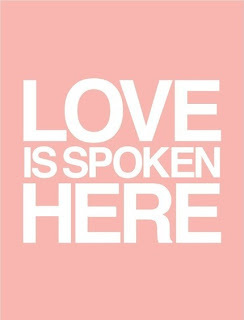 I typically give my family members cards and some type of candy or gift on this day to remind them that they are special and loved. It is also a blessing to be able to show love to friends and coworkers who may have recently been through a breakup or some other type of hardship. 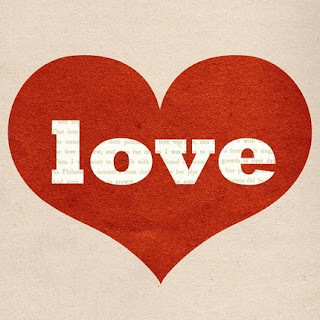 Everyone needs love and it can make you just as happy (if not happier) to give love as it would to receive love! The scripture below is used very often during wedding ceremonies but it is also something to take into consideration as a single person. 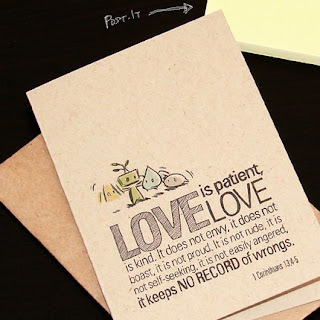 I am working on showing others love through patience and humility. I plan to refer to this scripture as a way to show love to others not just today but all year long! Resolve to think of Single Awareness Day as a day being single allows you to bless someone else and let them know they are loved. Happy Valentine's Day! Will You Marry Me? Contest Winners - Gabriel and Jasmine! Happy Valentine's Day! I hope you had a great weekend! I just wanted to share a post about the winners of Essence Magazine's Will You Marry Me? Contest! Essence.com is giving the winning couple a massive wedding gift! "The winning couple receives a wedding gown from My Fair Wedding's David Tutera's own line, $10,000 dollars to spend on their dream wedding, cakes courtesy of Amazing Wedding Cakes, wedding consultations with Diann Valentine, and an amazing honeymoon in Maui!" The 2010 winners are Gabriel Sheffield and Jasmine Harris of Manassas Park, Virginia! If you have looked at any of their blog postings, photos or videos, you have seen how in love these two are! They are so adorable and intent in putting God first in their relationship. Check out more information on Essence and the contest! As you may already know, I love Etsy. 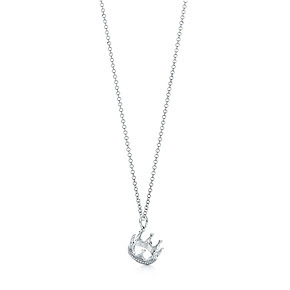 I love shopping on the website and browsing the beautiful items from various sellers. A couple months back one seller in particular caught my eye- Sarah Seven! I love her feminine and flirty designs, not to mention the great photography! You can check out Sarah's Etsy Shop here! I've also included some photos below for your enjoyment! Doesn't the woman in this photo look like a young Sarah Jessica Parker?! 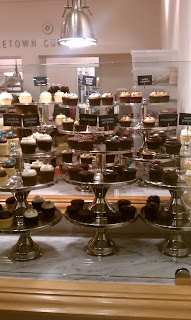 The following photos are by Jennifer Winter from Cupcake Actually's website. My first favorite: Pucker Up. 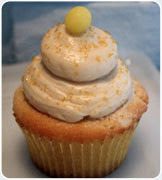 This one has a real lemon head on top! He's awesome and smooth and has a secret stash of chocolate chips inside! Yumm!!! Next up, Mint Julep. 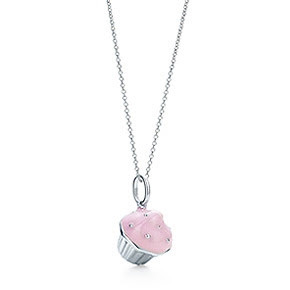 This one is definitely a must for all of you chocolate lovers! 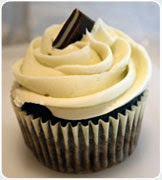 The mint buttercream on top is amazing! Simply Red is simply adorable. 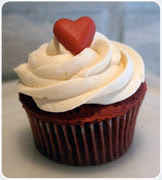 How can you resist that little red heart on this red velvet cupcake? Last but not least is Banana Split. 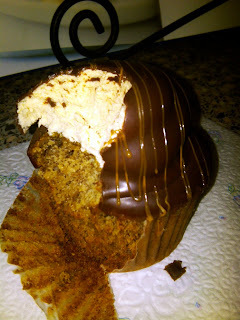 There isn't a professional photo on the website of this one but it was a delicious and soft banana nut bread with caramel on the inside and yummy buttercream frosting that had been dipped in chocolate and drizzled with caramel. It was amazing! Here is a photo of the Banana Split that I took mid-consumption with my cell phone! 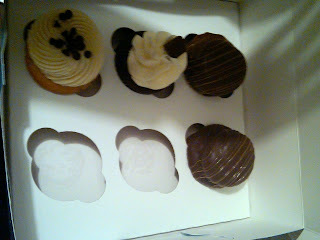 I absolutely LOVE the packaging from Cupcakes Actually! These babies are definitely transportable! 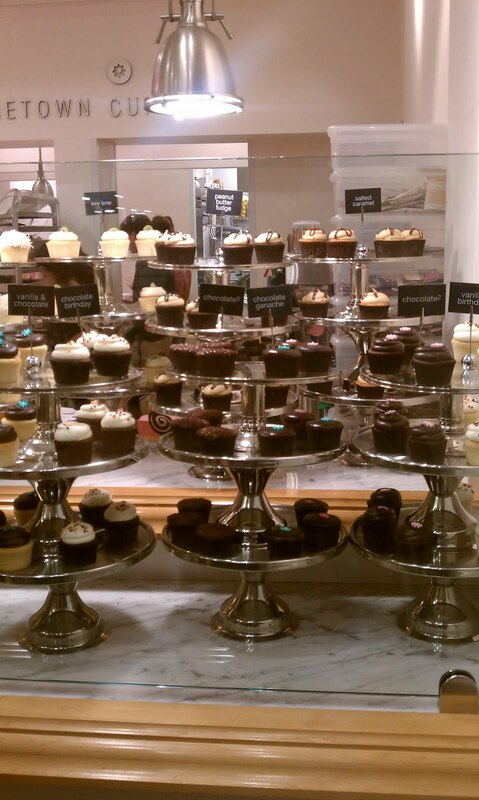 My other favorite cupcake spot is located here in Baltimore! 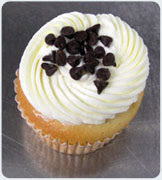 The Baltimore Cupcake Company has some truly delicious flavors! Some of my favorites are Vanilla Woo, Key Lime and Cherry Oh. They even have a "happy hour" from 5 p.m. - 6 p.m. where you can get these yummies at a discounted price. Visit soon and often! 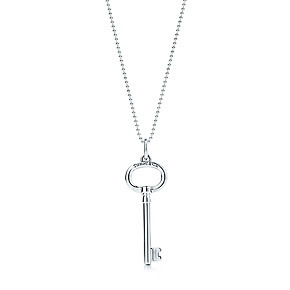 I was just browsing through the Tiffany website at a few pretty things and I thought I'd share! All of these items are $200 or less! Enjoy! 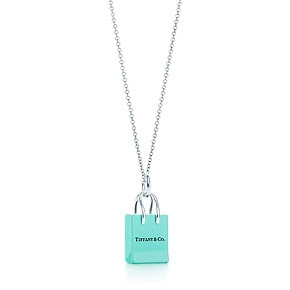 Labels: jewelry, necklaces, pendants, Tiffany, Tiffany and Co. 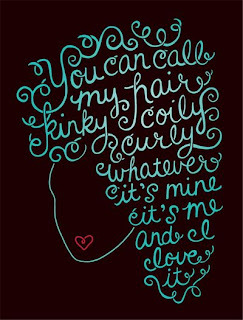 Her Royal Flyness, Andrea Pippins of the blog Fly, has a great line of prints in her shop I Love My Hair. 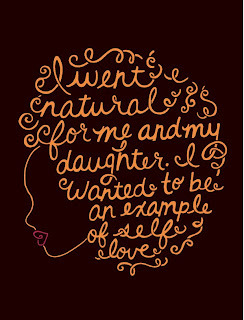 These loveable prints feature creative illustrations of African-American women with natural hair along with the positive thoughts and feelings many women with natural hair may share. Check out some of the images below!